A New Martin Luther King Among Us? I sometimes write commemmorative pieces on the Rev. 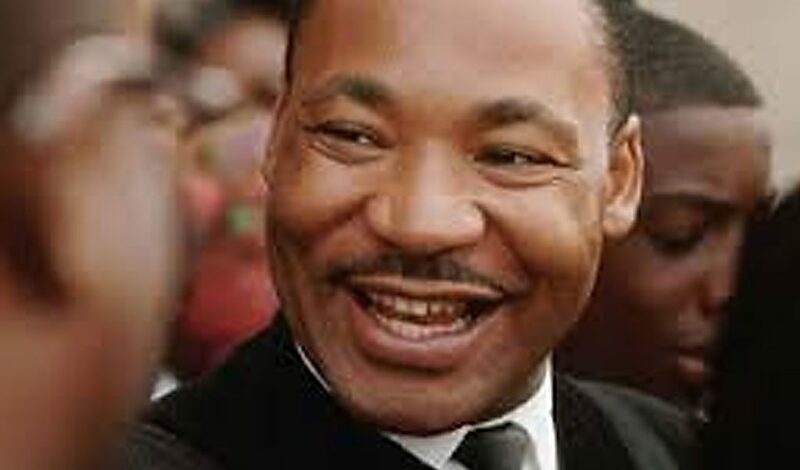 Dr. Martin Luther King Jr. and his great impact on civil rights in America. MLK is one of my heroes. I usually do the piece in January when we celebrate his birthday with a national holiday. This year I’m upping the article two months because of the current racial tensions in the US and a strong belief that another individual has risen in the spirit of MLK. This person is also about to be “assassinated”–at least verbally. Is he a new Martin Luther King? I must admit that I missed most of the impact of Dr. Martin Luther King’s life because of my birth date. When Dr. King began his thirteen year crusade for equal rights for African American citizens (1955-1968), I was only a precocious two-year old with little understanding of the outside world. By the time he gathered thousands of people to the Lincoln Memorial on April 28, 1963 for his famous “I Have a Dream” speech, I was only ten years old, and didn’t have a wit of understanding about racial prejudice in the United States. It was completely off my radar screen. When I reached high school and began hearing and studying American history, I still remained geographically removed the events and attitudes of the civil rights movement. I attended a high school in Washington State where, out of a student body of 1200, there were probably not more than twenty blacks. This was not because of discrimination. There just weren’t many African-American families in our town. The ones that did live in Port Orchard were no different than anyone else and I considered myself “color-blind” to them. In fact, I don’t even remember thinking of them as black. They were just “Joe”–a fellow athlete and great guy who became our student body president (there was no prejudice in that vote!) and Ruth–who brought down the house when she sang “Jeremiah Had a Bullfrog!” at a singing competition. Ruth was also a greatly-loved cheerleader. Joe is a now a very successful news broadcaster in Atlanta, Georgia and Ruth still lives in our area and pastors a church. I deeply enjoyed seeing them both at our 40th high school reunion a few years ago and we cried and laughed and thoroughly enjoyed the gathering with our high school chums. When the historic Civil Rights bill was passed on July 2, 1964, doing away with much of the discrimination that still existed in the southern states, I was still pretty oblivious to the event because of my age and the shallow thinking that came with it. I’d never seen racial injustice in my life. I do remember the ache in my heart when Dr. Martin Luther King was assassinated on April 4, 1968 by the cowardly James Earl Ray. But as a fifteen year old, I was self-centeredly focused on girls, cars, and sports during the period. Even when the ’68 riots broke out in the streets and some cities burned, the events were far away from the Pacific Northwest and didn’t really impact me. However, my understanding of prejudice and injustice took a quantum leap during those same years when my father went to prison for something he didn’t do. Our family didn’t suffer racial injustice–just legal injustice–period. It stunk, I hurt, some relationships were broken, and I also found God during that difficult period. I learned from Him that life is filled with many aspects of injustice and that no one has experienced more of it than God Himself–in the person of Jesus Christ– who was tortured and murdered in a mockery of justice by the people and religious leaders of his day. God tasted human injustice–and turned the event into universal salvation through the death and resurrection of His Son for the sins of the world. As a young Christian I learned how to forgive and be empowered by God to overcome injustice with good. As this all came into focus in later years, I grew to admire Dr. Martin Luther King who had also used his faith to peacefully combat racial injustice in America while I was growing up. He had succeeded through the power of grace and truth–the very principles that we find in the life of Jesus Jesus (John 1:17). MLK, like Jesus, told the truth about sin. And Martin Luther King, like the Son God, his Savior, told that truth forcefully yet peacably–not in selfish anger, pride, rebellion, or anarchy. That’s why we honor Dr. Martin Luther King as a great American hero. The shooting of Michael Brown in Ferguson, MIssouri by white officer Darren Wilson (later exonerated by a grand jury) led to the burning and pillaging of the city. Rioters caused millions of dollars in damage and looters emptied many stores. The President of the United States and his Attorney General weighing in only seemed to multiply the tension. Other police shootings around the nation, some defensive and some unexcused, helped cause an anti-police movement to boil up that was reminiscent of 1960s. “Black Lives Matter” has become the rallying call of those who feel the system is still rigged against them. The problem is they aren’t protesting what they consider police targeting and brutality in the spirit of Dr. Martin Luther King. Rather, they shout “Pigs in a Blanket, Fry Like Bacon” and “Death to Cops” in many city streets. MLK would have condemned their message and tactics. When the Baltimore District Attorney accused five police men and women of murdering Freddie Gray, a local drug dealer, the city exploded with violence and mayhem. Now many policemen are being accused of not doing their duty because they will not get a fair shake. This week protesters at the University of Missouri successfully forced university president Tim Wolfe to resign due to racial insensitivities and “white privilege.” The Missou football team even endorsed the movement led by the hunger strike of a student named Jonathan Butler. U of M is eight percent black in a state than is ten percent African American. The students presented a eight point manifesto whose wording slightly reminded me of the Communist Manifesto. Add to that the wave of black-on-black killings in Chicago and other cities, and it appears like we’ve entered a new racial struggle. I have my beliefs as to why this movement is gaining steam, but that is the subject for another article. What’s most interesting to me is that, in my opinion, another Rev. Dr. Martin Luther King has arrived on the scene just as MLK did a generation ago. No, I’m not talking about Barack Obama. I believe he could have been that figure to a degree, but his priorities have been different. Besides, though its appropriate to say that he’s African-American, the truth is he is only one quarter black. His mother was white so he is half white. His father was half African and half Arab. So you really could say that Barack Obama is a white president (that’s his largest DNA heritage) and also say he’s Arab (as much as he is black). Since he grew up in the white suburbs of Honolulu with some time spent in Muslim schools in Indonesia, it’s a stretch to say that he’s heart and soul African American. He grew up poor in an American inner city. Worse than MLK, he never knew his father and was raised by a single-parent mother. He also became a doctor and devoted his life to helping people. He believes in non-violence and the peaceful resolve of all injustices. You’d think that our nation would gladly welcome this man. His message and character are just what’s needed today as they were fifty years ago. But like Jesus and Martin Luther King, this man is also being crucified in the press because he doesn’t fit the the world’s political agenda. Most of the verbal assassins are from one side of the political spectrum but I read one today who’s usually on the side of right. Take a good look at Dr. Ben Carson, an African-American neurosurgeon political outsider who’s running for president of the United States. He just might be our new Martin Luther King.